Welcome to my Write 31 Days: Being Intentionally Authentic. Each October a writing challenge is issued by the amazing ladies at WRITE 31 DAYS. Last year, as I processed the idea of blogging at a greater depth, with purpose and openness, I panicked- too much pressure, too much fear, too much... period. However, halfway through the month, I had a change of heart, only it was too late. Too late to join, too late to begin, to late to succeed, and crushing my heart to write anything- too much pressure, too much fear, too much... everything. So I retreated deeply into my inner self and felt crushed by my lack of jumping straight in, sharing deeply my heart, and trying to do something that I love. Essentially I hid. For the next 31 days I am challenging myself to not simply plan something, but execute something. To let go of my anxieties or fears and be strong enough to get started. My heart and soul wants to encourage others, to travel on a journey with others, to show others how we can do real life alongside one another. Praying through what to write about, all I heard was silence. (Insert frustration and fear). Determined not to give up I prayed. Journaled. I heard two words in the carpool line waiting to grab my boys. Scrambling for paper in my purse because let's face it, I would forget as soon as the boys jumped in the car, I wrote as quickly as I could. Words came. Topics came. Ideas flowed. I was excited about what God had simply revealed to me. If I am honest, I was a little nervous too. Each day will hold something new, all stemming at its core of being intentionally authentic. Expect weekly challenges. Topics about embracing who you are and what we are designed for in community. I am thrilled to have you here. Thrilled to walk with you. Thrilled to see what God reveals as we explore what it means to live INTENTIONALLY AUTHENTIC. Thank you Alison. Deeply appreciate that. I am excited to see what God reveals to me and how I am able to grow as I read other peoples hearts on their writing for 31 days. I really appreciate the transparency you've always shown in your writing. I'm looking forward to reading what the Lord has placed on your heart. Thank you Heidi. I was actually just thinking about your sweet family the other day. I hope that you are well. Thank you so much for following along. 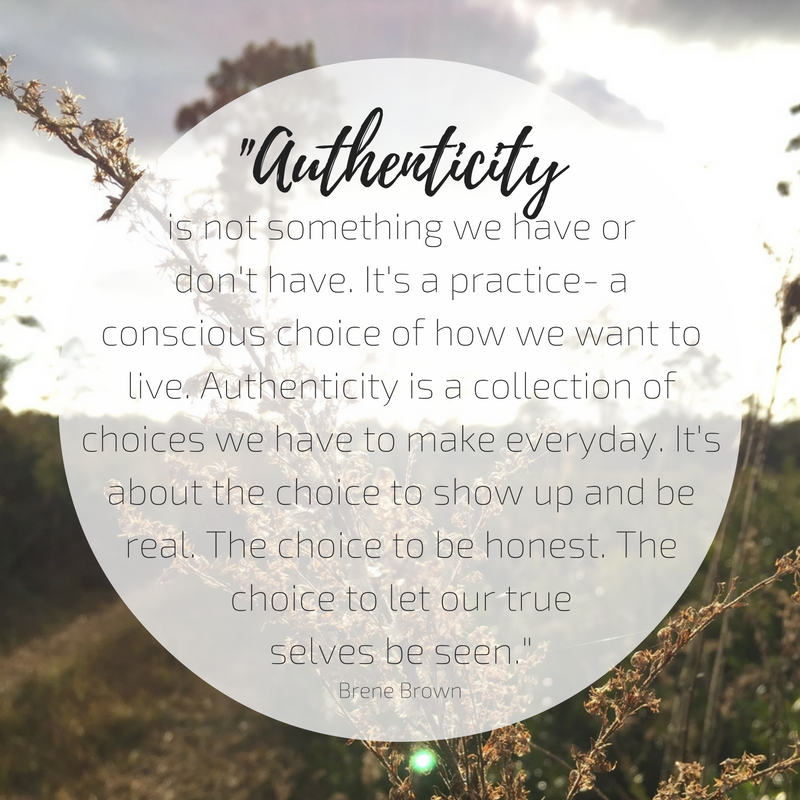 Authenticity is something I think about a lot while living in this super-connected world! I look forward to reading your thoughts! Branson... completely agree. We lose so much authenticity. I believe that God has called us to a deep connection with one another. A deep need to have community and relationship. We are designed to love and encourage one another. Thank you for following along. Can't wait to read. I was the same way...hesitant about doing this, but decided to just go for it. My topic: Living Intentionally...seems to be a good theme. And I also love the word Authentic...so can't wait.